Below are tips and information to help you learn how to read tire size and other tire markings commonly seen in the U.S. The information found on a tire sidewall contains important information about the tire size, load capacity, weather ratings, and even government ratings for treadwear, traction and temperature. Nitto® Tire explains how to read these symbols and what they each mean. The tire size shown above is P185/60R14. The 185 represents its section width. The number "60" indicates the tire’s aspect ratio. The last number, "14" indicates wheel diameter. The tire numbers in the above example tell us that the tire is 185 millimeters wide. The first number in this series refers to the tire's section width, or distance from sidewall edge to sidewall edge (in millimeters) when measured up and over the tire's tread. Generally speaking, the larger this number is, the wider the tire will be. Aspect Ratio is the ratio of the sidewall height to the section width. The sidewall height of the example tire above is 60% of its section width.This number can be very indicative of a tire's purpose. Lower numbers, like 55 or less, mean a short sidewall for improved steering response and better overall handling. The "R" refers to radial construction, which has been the industry standard in passenger-car tires for more than 20 years. Prior to radial tires, most cars came with bias-ply tires, which had a crude construction that made for poor handling. Bias-ply tires (which use a "B" for their description) are still used for certain truck applications. Pay particular attention to this number if you plan on upgrading your wheel size. If your wheel diameter changes, you'll have to purchase a new set of tires that matches this new diameter. A tire's load index is a measurement of how much weight each tire is designed to support. The larger the number, the higher the load capacity. This is one of the most important numbers on your tire. To find out what "82" means, it must be looked up on a Load-Carrying Capacity Per Tire chart. Remember that this is per tire, which means you have to multiply by four to get the total capacity for a complete set of tires. If the vehicle has its original tires, you can just refer to the doorjamb, which lists the maximum cargo capacity with passengers. Some vehicles are equipped with "XL" tires. No, it doesn't mean that they're extra large, but it does mean that they are extra-load tires. The load index on these tires is much higher than a standard-load tire — which is why it is important to replace an XL tire with another XL tire. Remember "P-metric" and "Euro-metric sizing"? Their difference in load rating can lead to confusion and potential trouble. For a given size, P-metric tires will have a load index that is one or two points lower than corresponding Euro-metric tires. So if your car came with Euro-metric tires, don't replace them with P-metric tires. You can, however, replace P-metric tires with equivalent-size Euro-metric ones because you gain load capacity that way. Why is this important? Generally speaking, you don't want your replacement tires to have a lower load index number than the originals (as indicated by the driver's doorjamb or the owner's manual), particularly with high-capacity vehicles that ride on smallish tires, such as minivans. Also, and contrary to popular perception, optional large-diameter wheels with lower-profile tires tend to have less load-carrying capacity because they contain less air. And it is the volume of air inside the tire, not the rubber itself or the wheel material that shoulders the load. The load index is especially important when shopping for a tire online, since many retailers do not specify whether a tire is P-metric or not. The speed rating is a measurement of the speed at which the tire is designed to run for extended periods. An "H" speed rating signifies that this tire can be run safely at speeds of up to 130 mph for extended periods. Will it explode if it goes to 140? No, not immediately. But it might if it is run at that speed for an extended time. *The "Z" rating used to be the highest rating for tires having a maximum speed capability greater than 149 mph, but as tire technology improved, it is was ultimately split into the "W" and "Y" rating. A "ZR" may sometimes appear in the size designation, as a sort of nod to the prior rating, but it will also be used in conjunction with a W or a Y. The DOT code is used by the Department of Transportation (DOT) to track tire production for recall purposes. If a tire proves to be defective, this number helps keep track of where these tires ended up so that buyers can be notified of the problem. At the end of the DOT code you'll find a four-digit number. This is the manufacturing date of the tire. The first two digits stand for the week; the other two are the year. For example, if your tire had "1610" listed, it was manufactured on the 16th week of 2010. If you come across a three-digit number, you have a tire that was manufactured before 2000. A DOT tire code of "127" indicates the tire was made on the 12th week of the seventh year of the decade. But it's difficult to know whether that was 1997 or even 1987. 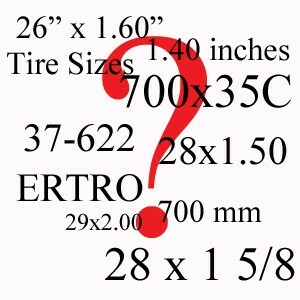 According to tirerack.com, some tires produced in the 1990s may have a small triangle following the DOT number to identify the decade. But any tire that has a three-digit code is history. Tire experts recommend that tires that are six or more years old be replaced, regardless of tread depth. Sometimes the DOT number will be located on the inside of the tire. In this case, you can either jack up the car to inspect it, or check with your local mechanic or tire shop. You should also make a habit of checking the manufacturing date on your spare tire as well. This number refers to the maximum amount of air you can put in a tire before you harm it. It is not the recommended tire pressure; that number can be found in your owner's manual and on the doorjamb. A traction rating can also be found on the sidewall of all modern tires. It can be represented as AA, A, B or C. This is a rating of a tire's traction when tested for straight-line braking on a wet surface. 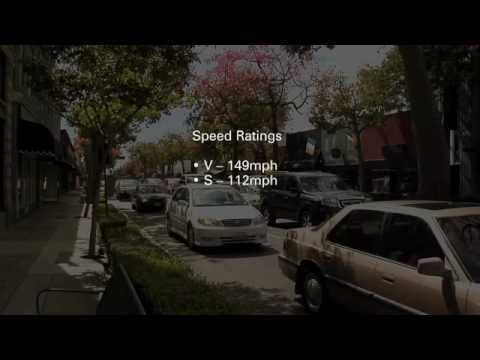 For this rating, AA signifies the best traction performance and C indicates the worst. The temperature rating refers to the ability of the tire to withstand heat under high speeds. The ratings, from best to worst, are: A, B and C.
Finally, you might find the word "TREADWEAR" on the sidewall followed by a number like 120 or 180. This is a rating of the tread's durability, as tested against an industry standard. The reference number is 100, so a tire with a treadwear rating of 200 has an 80 percent longer predicted tread life, while a rating of 80 means a predicted tread life only 80 percent as long as the industry standard. In addition to all of the above, here is a comprehensive list of other markings you can find on your sidewall. B: Bias construction, typically for motorcycles. E4: Tyre approved according to ECE-regulations. See The E Mark below. FR: Flange Rib - the area above the bead of the tyre that acts as a protection for the outer lip of your alloy wheel against light contact with kerbs etc. N(number): Original tyres for Porsche. SFI, or Inner: Side Facing Inwards; inside of asymmetric tyres. SFO, or Outer: Side Facing Outwards; outside of asymmetric tyres. Arrows: Denotes rotation direction for directional tread. 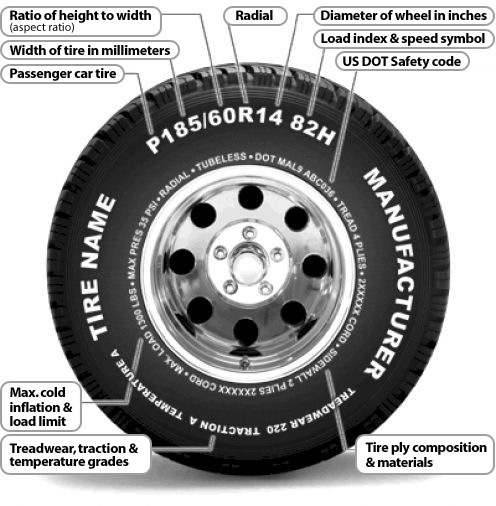 Understanding the letters and numbers on your tire sidewall can be a bit confusing. 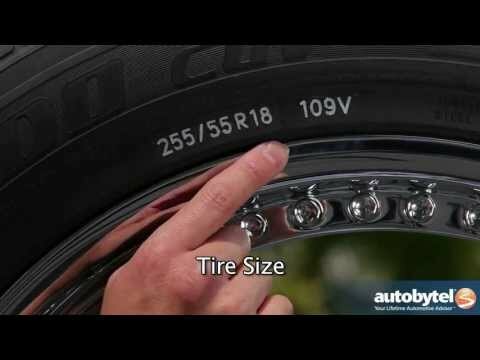 Tak from Toyo Tires gives us some insight on how to read a tire size. His simple explanation addresses all the different specifications that are written on your vehicles tire. Get to know your car a little bit more. Learn what all those numbers and letters mean on your tire's sidewall. The information found on a tire sidewall contains important information about the tire size, load capacity, weather ratings, and even government ratings for treadwear, traction and temperature. This video explains how to read these symbols and what they each mean.